Mr. John Oscar Erickson, Jr., son of the late John Oscar Erickson, Sr., and Ruth Elizabeth Johnson-Erickson, born in Brockton, MA, went to be with the Lord on Sunday, August 19, 2018 at Delaware Hospice in Milford. He was 77. John had a profound faith in his Lord and was proud to be a follower of Jesus Christ. John spent a lifetime teaching and volunteering in the church and studying the Word of God. 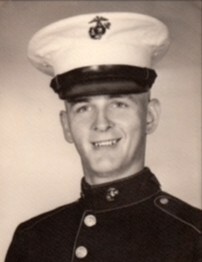 John was a proud veteran of the US Marines Corp and served from 1961 to 1965 as a demolitions expert. 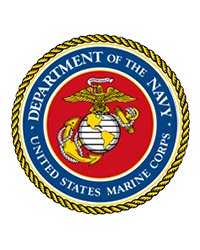 After an Honorable Discharge from the Marines, he served with the Delaware National Guard. After briefly being employed at Ulmers Hardware Store, John went to work as a Letter Carrier for the US Post Office in Newark, DE. As a postal worker, he brought a unique and personal touch to those he delivered mail to. He truly cared for the people on his route and took time to know the patrons he served. John retired from the Post Office after thirty years of dedicated service. John is preceded in death by his father; mother; his brothers, Robert Johnson and Larry Erickson; and his sister Janice Tope. John is survived by the love of his life, Alberta Elizabeth Erickson, whom he married on April 25, 1965 and the couple settled in Newark, DE. The couple added to their family on May 11, 1967 with the birth of their first son John Oscar Erickson III (married to Mary Erickson). On November 8, 1969, their family grew by two when the twins Brian Ashley (married to Allison Erickson) and Brice Allen (married to Carrie Erickson) were born. John and Alberta’s family continued to grow as the loving grandparents welcomed grandchildren Lauren, Ashley, Christian, Tyler, Brian Curtis, Emily, Brice Erickson, Jr., Kyle, Haley, and Austin. As-well-as great grandchildren Carter, Tyler, Syrus, and Fisher. In addition to being a father, grandfather and great grandfather John had great influence and impact as an Uncle to his nieces and nephews. John is also survived by his sisters, Betty Elizabeth Lockaby (married to Hayward Lockaby), and Joann Green (married to Lawrence Green). Family and friends are invited to show their respect for John at 11 am on Friday, August 24, 2018 at a Memorial Service with full Military Honors held at the Townsend Freewill Baptist Church, 4519 DuPont Parkway, Townsend, DE 19734. After the service a lunch will be prepared by the Townsend Freewill Baptist Church and John will be laid to rest at the Delaware Veterans Memorial Cemetery in Bear, DE. In lieu of flowers, donations can be made in John’s memory to the Upon This Rock Ministries (Bear, DE), Townsend Freewill Baptist Church (Townsend, DE), and Delaware Hospice.